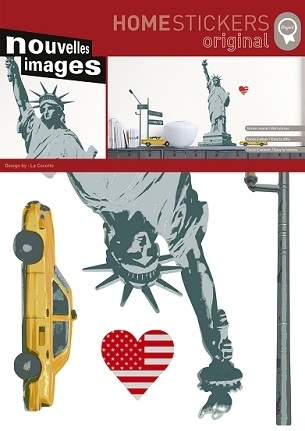 Your dorm room will reign with freedom and glory when you add the Statue of Liberty - Peel N Stick. The Statue of Liberty is a strong, independent lady. As a dorm room decor accessory, she'll light up your dorm walls and inspire your with her stance of conviction. The Statue of Liberty - Peel N Stick makes a cool dorm wall accent because she yields to no one and is a super star in her own right. As a Peel N' Stick college decor essential, the Statue of Liberty - Peel N Stick makes adding decorations to your dorm room easy. It'll feel like to know that you can stick her on your wall, and maybe unstick her easily if you need to. She can be a little intense sometimes, being the symbol of freedom and all.